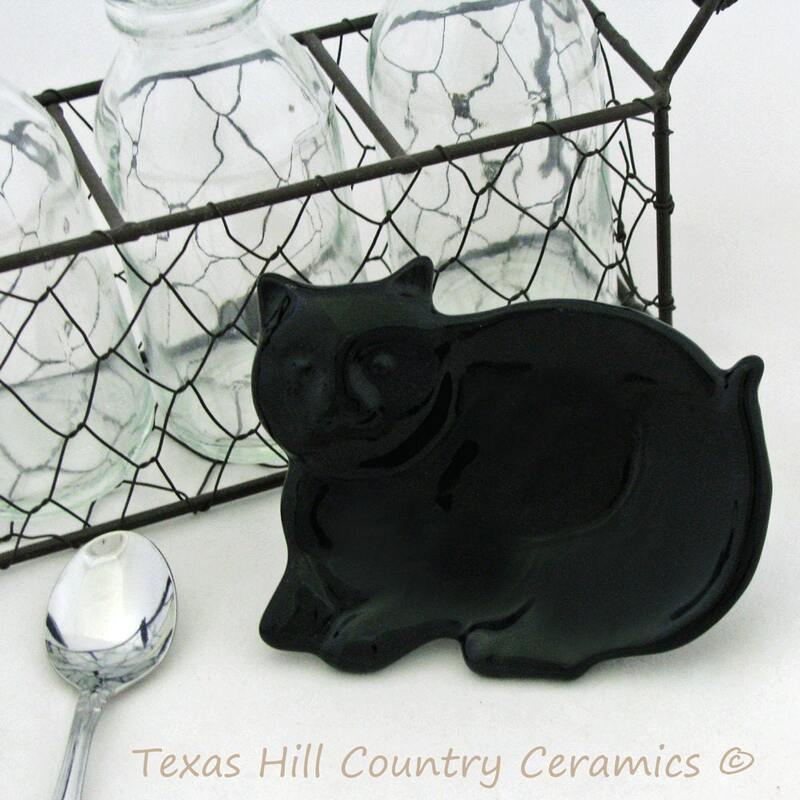 This solid Black Kitty Cat is ideal as a personal size tea bag holder, small Spoon Rest or all around catch all on a desk top or to hold jewelry or rings on a bath vanity or dresser. 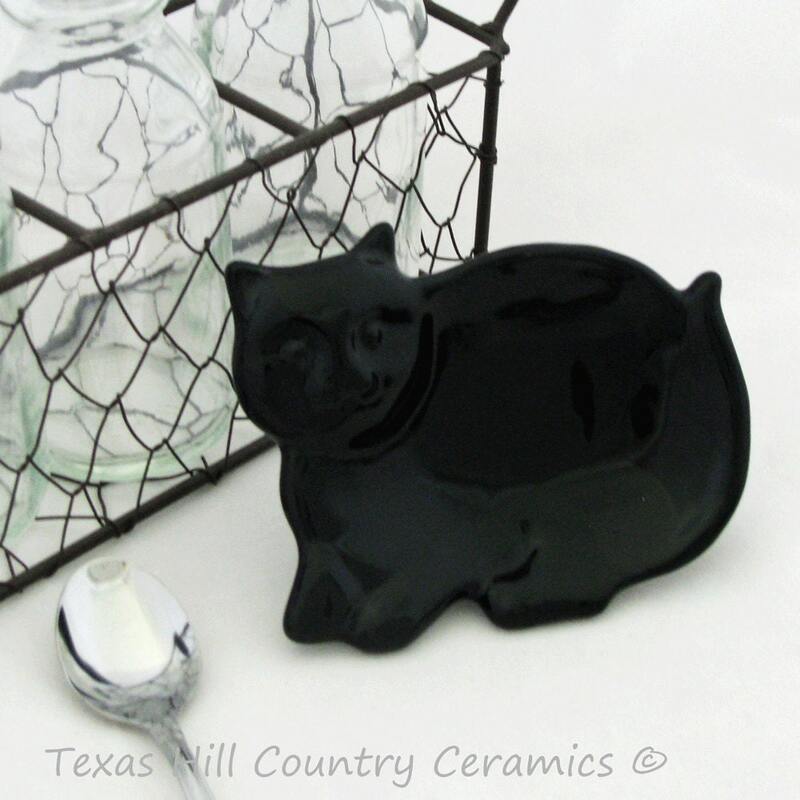 The black cat is a great Halloween accent piece with the ghost or pumpkin tea bag holder. 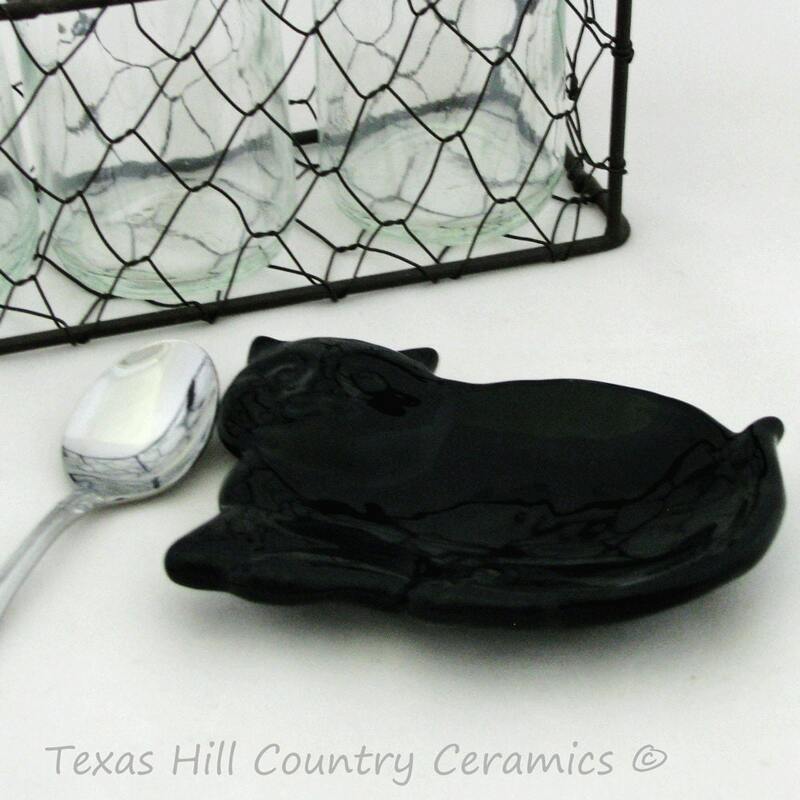 • dishwasher safe, the glossy black finish will not wash off or fade. 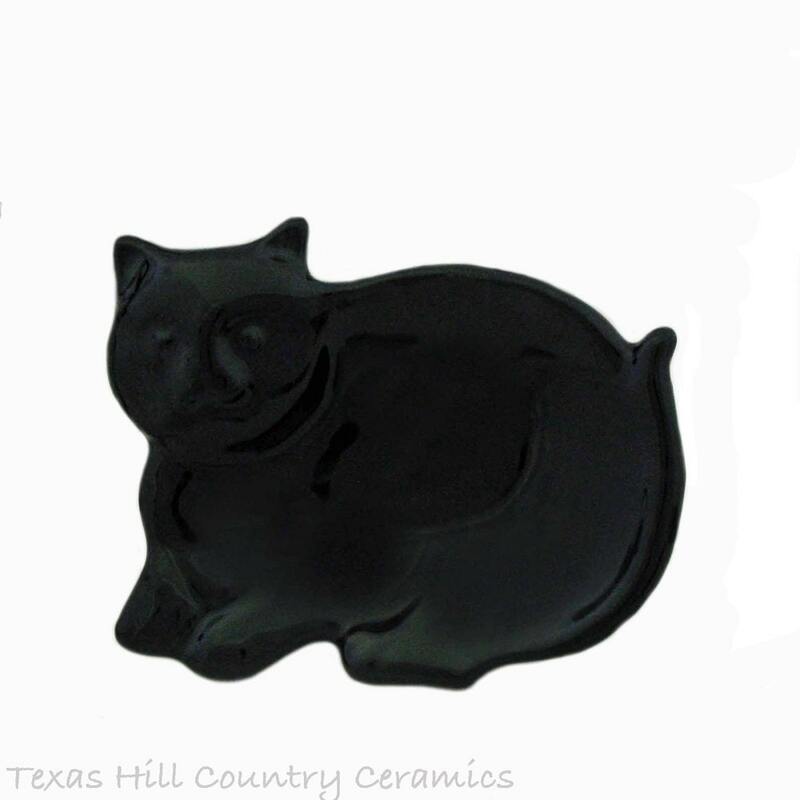 This black cat is solid cast from a plaster mold for uniformity with domestic ceramic clay slip, it has been kiln fired a minimum of 2 times. The solid black glaze used is lead free and people friendly. This listing is for a black cat only. I have been making ceramic tea bag holders for years and this really black cat has been in my tea bag holder collection series since 2004. Purrr-fect for a cat "Mom" or "Dad". Neat little item for the Halloween Season too. A white kitty cat tea rest is also available in a separate listing. My ceramics are made by me from start to finish. Cute! Can’t wait to give to my sister for Christmas! Very sweet little black kitty!